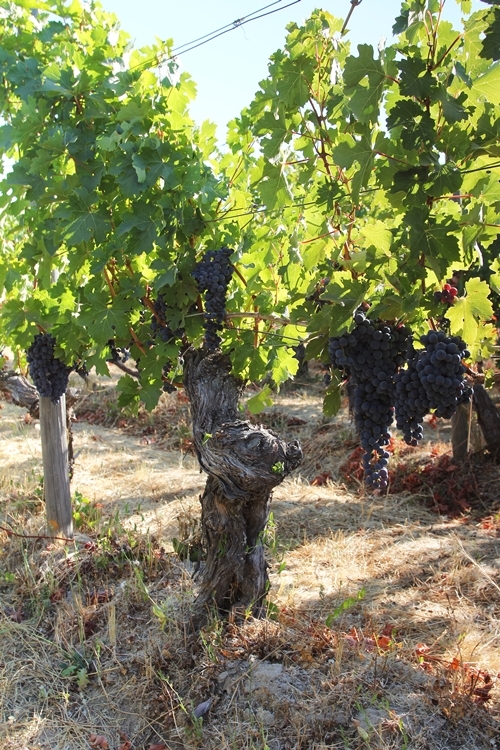 Lapostolle’s story commenced with the discovery of some old Carmenère and Cabernet Sauvignon vines in Apalta. 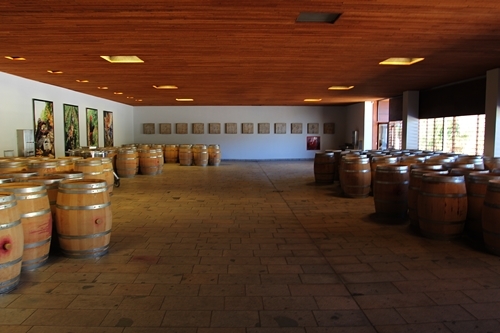 The winery was founded by Alexandra Marnier Lapostolle and her husband in 1994, with the help from Michel Rolland, who is their winemaker alongside Jacques Begarie. 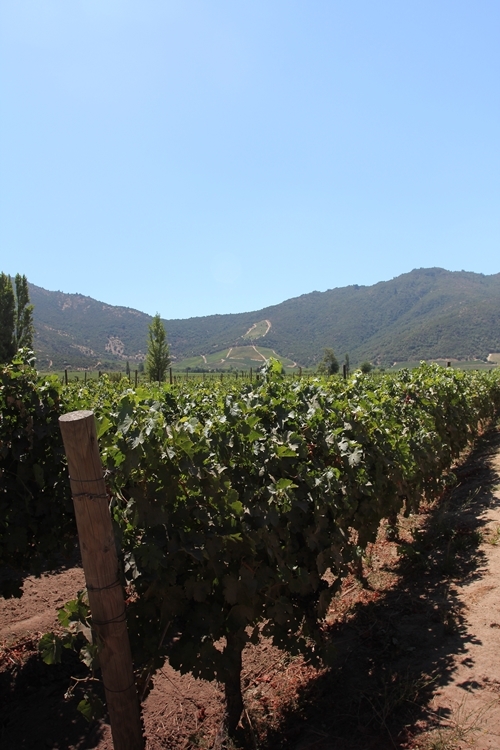 Their Apalta vineyards are found on the valley’s north western walls, and are planted between 1920 and 2006, to the cultivars Cabernet Sauvignon, Carmenère, Merlot, Petit Verdot and Syrah. The oldest blocks in the Apalta vineyards, stem from vines that were originally brought from France in the end of the 19th century. Have favoured sustainable viticulture since the beginning, and their vineyards are now under 100% Organic and Biodynamic management. 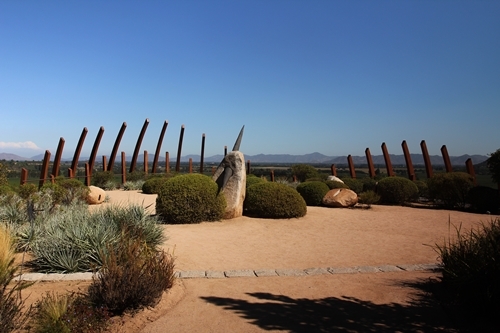 The iconic Apalta Winery is designed to blend in seamlessly with the surrounding environment. 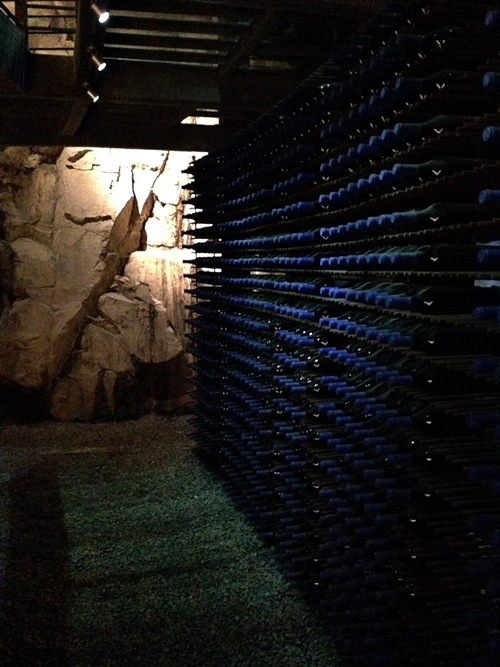 Most of the winery is therefore hidden underground, keeping its visible structures to a minimum. They have in addition utilised the roof as a garden (here captured). 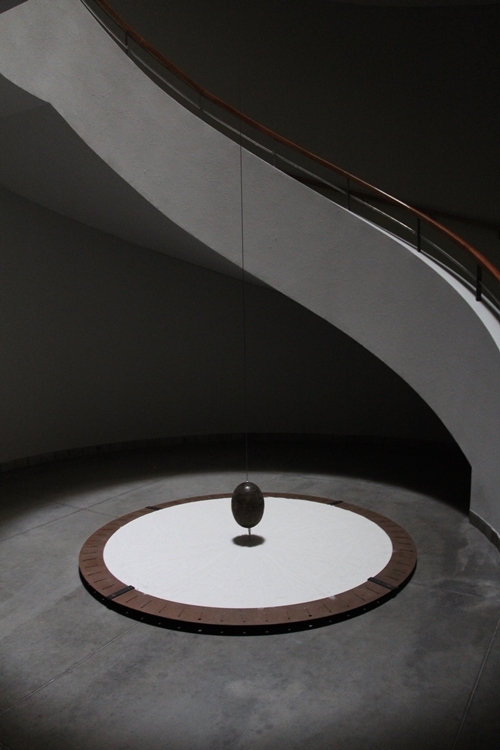 The receiving floor is found on the top level of the winery, since it is architectured to follow the principles of gravity flow. 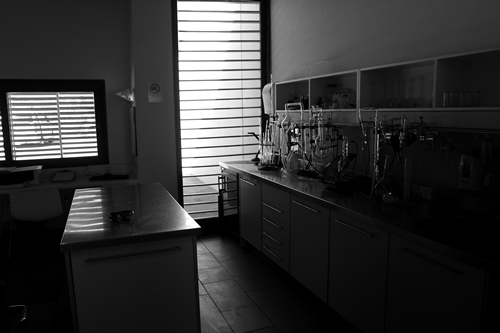 The Apalta Winery is their “show-piece” winery – and one guess that the small laboratory is used more for quick tests and their real lab work is done at the other winery. Their cuverie seen from the bridge. It is truly striking and among the world’s most impressive. The dry climate gives some challenges. Here the team are fixing a leaking tank by filling it with water. 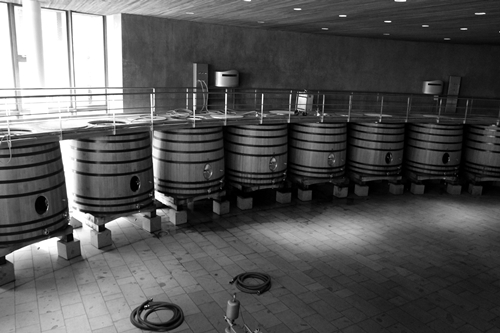 Room is filled solely with oak fermentation tanks, as their stainless steel tanks are kept at Lapostolle’s original winery. 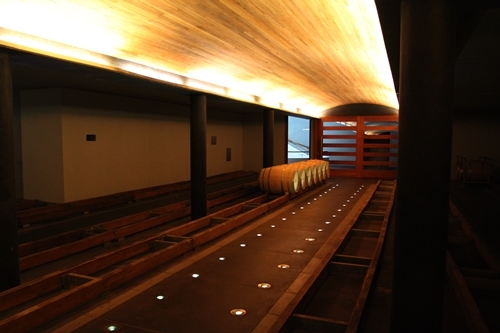 It is found in Cunaco, and is where the Casa and Cuvée Alexandre ranges are made. 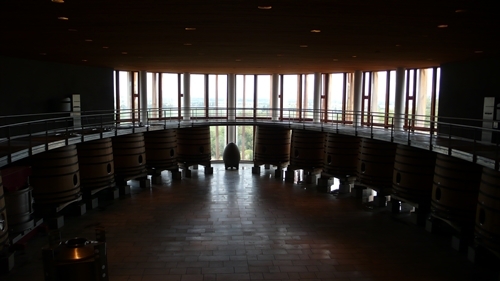 A reminder of the winery’s position. It is literally carved into the hillside. 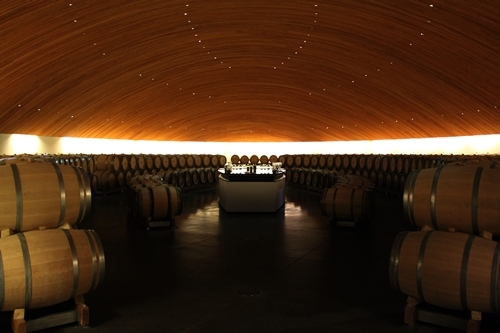 Visiting just prior to harvest, meant a nearly empty barrel room. The earthquake monitor seems very fitting, being located in a country with a great deal of seismic activity. 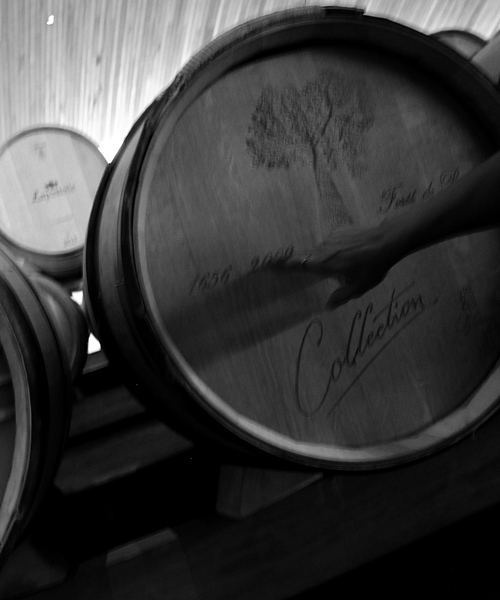 Some extraordinary oak barrels are used to make their Clos Apalta. 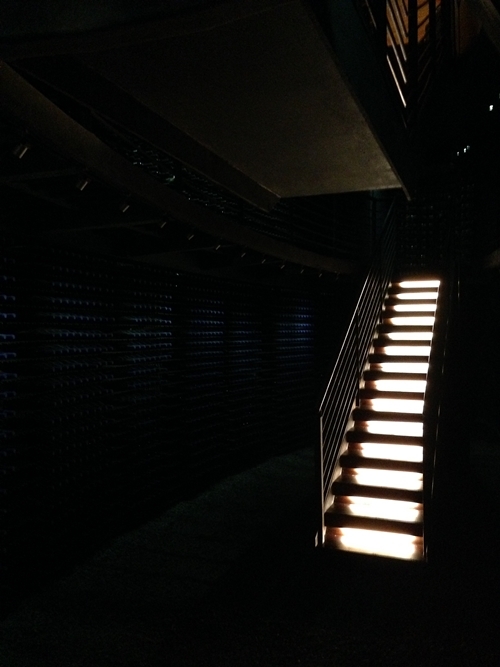 The centre piece of their tasting room functions both as a table and a hidden staircase to their private cellar. 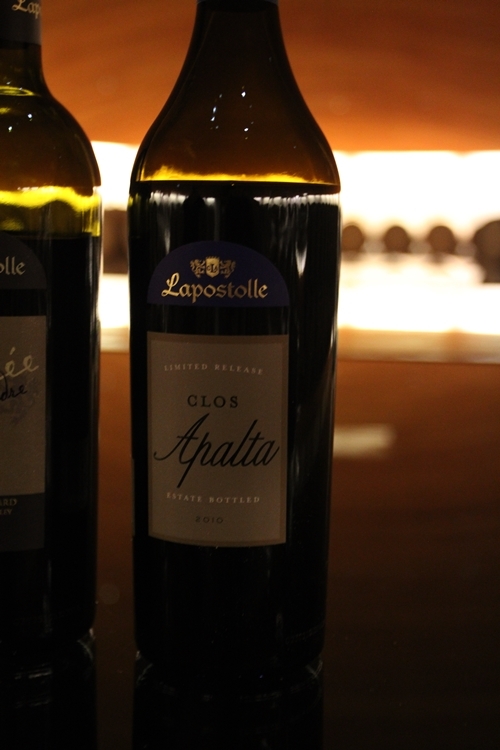 Clos Apalta is the real star of the show. 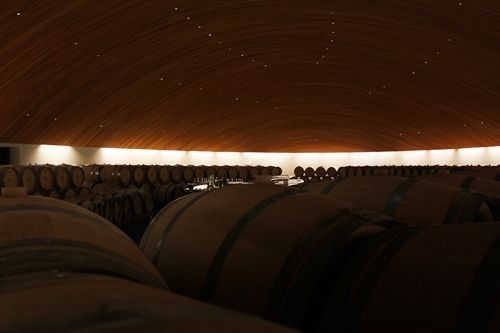 It originally helped form a reputation for Chile as a fine wine producing country when it was first released, and has since then been highly awarded and recognised. 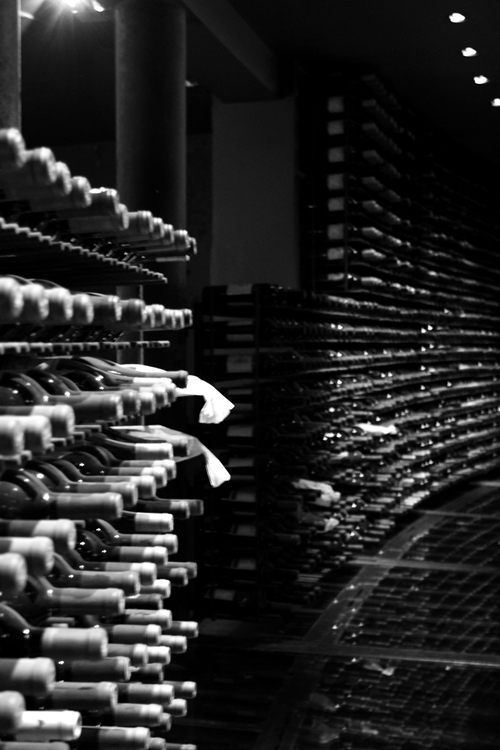 The 2005 vintage was named #1 on Wine Spectator’s Top 10 Wines of 2008. 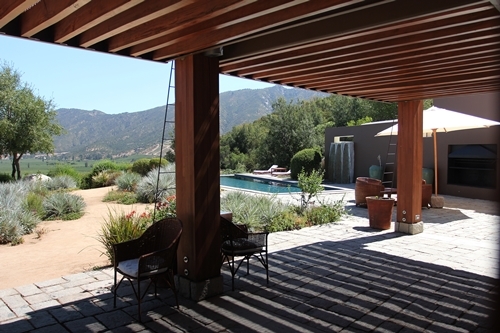 The 2010 vintage is a blend of 71% Carmenere, 18% Cabernet Sauvignon, and 11% Merlot. It is a very intense wine, quite bold and with no doubt in request of some proper ageing. It packs a concentrated blend of fragrant spices, vanilla, cacao and white pepper. 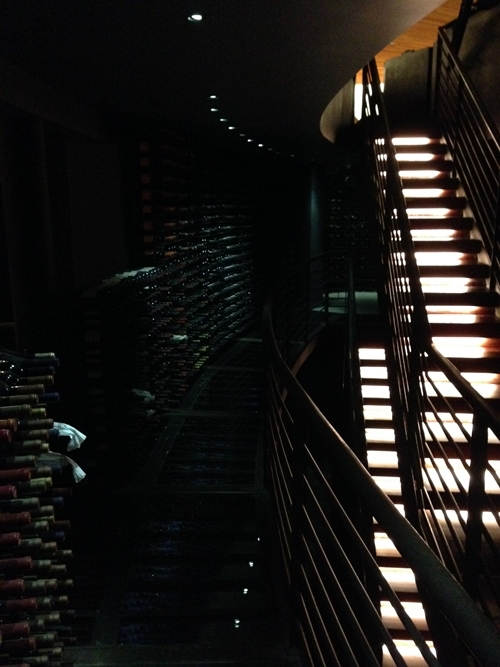 Their private collection/cellar is accessed through the hidden staircase. 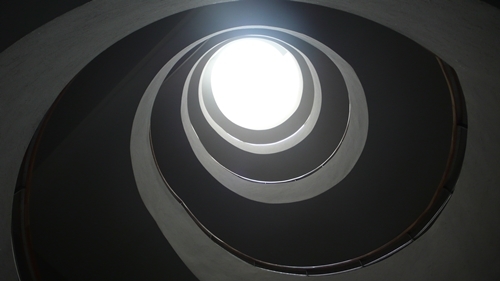 It is a piece of stupendously cool architecture. 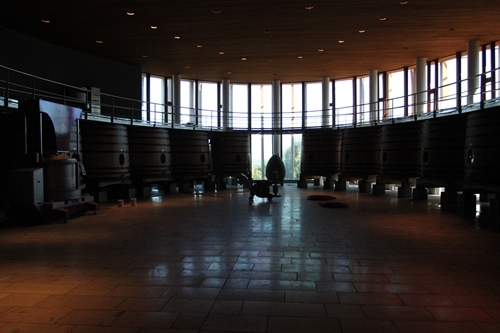 The steel structure and soft lighting gives the raw natural cellar a real ambience. 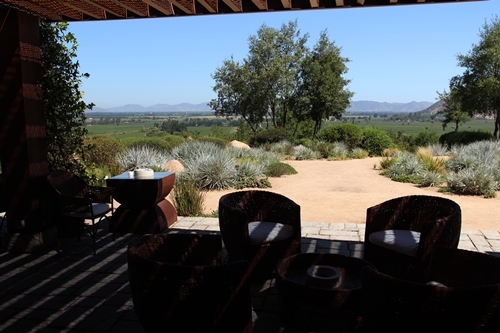 Beside their complete vertical collection of their Borobós and Clos Apaltas, they keep a small assemblage of European wines and a selection of flagship wines from Chile’s finest Estates. 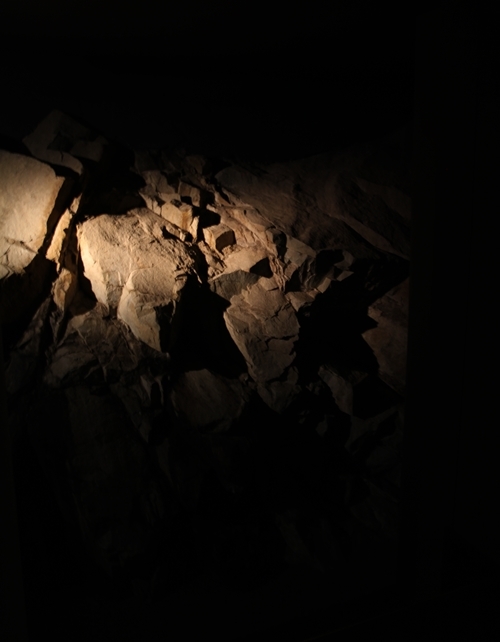 The bottom floor of the cellar. The hillside makes a very decorative wall. 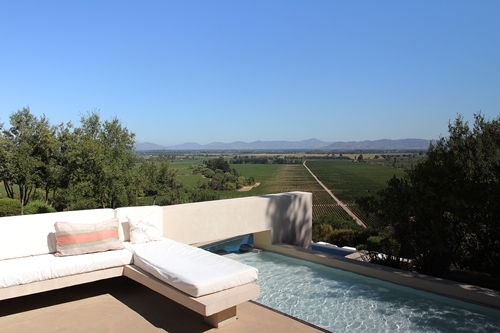 The Lapostolle Residence is located just next to the winery. 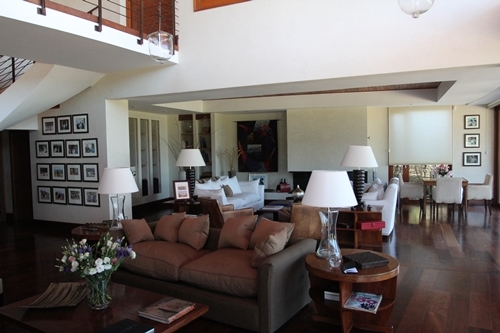 It was originally constructed to house the family, their friends and Michel Rolland, when visiting. They have though now also opened up the small cottages and the villa to tourism. A stay is for the few who appreciate the luxury in simplicity. And it feels like you are in a holiday home and not in a boutique hotel. Food is naturally organic, and most of it is grown on the property. The views are beyond spectacular! The lounge at the Lapostolle Residence. 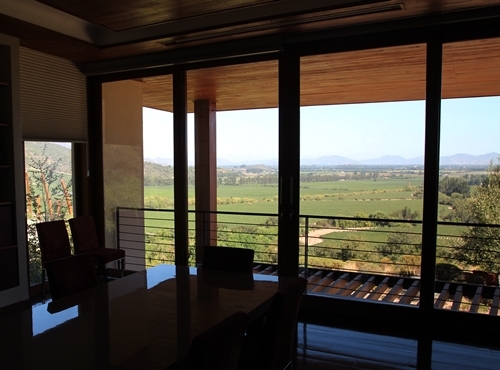 The view from their private tasting room. Lapostolle is indeed a very special place!